(Jakarta, 31 January 2017) The arrest of two Indonesian women as would-be suicide bombers shows how their desire for action coincided with the decision of ISIS leaders in Syria that in emergency conditions, women could be tactically deployed in jihad operations. 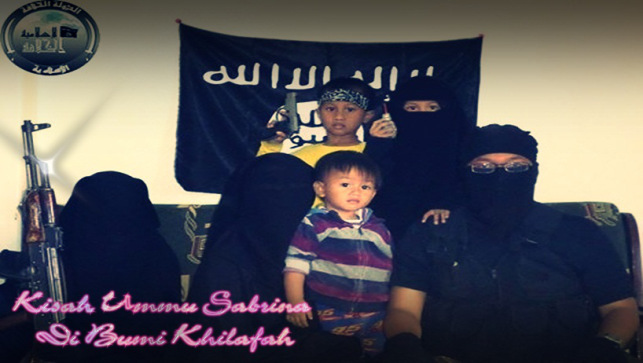 Mothers to Bombers: The Evolution of Indonesian Women Extremists, the latest report from the Institute for Policy Analysis of Conflict (IPAC), looks at how the role of women in Indonesian extremist organisations has evolved over the last four decades. “The combination of ISIS and communications technology has dramatically changed how women extremists see themselves,” says Nava Nuraniyah, IPAC analyst. “ISIS has given them a more universal mission, while various forms of social media have enabled them to share information and reinforce their own aspirations.” These changes have come as ISIS leaders in Syria, including Indonesia’s Bahrun Naim, have come to see women as useful for jihad operations (amaliyah) because they are less likely to attract suspicion. The new report looks at how the role of women in Indonesian Islamist organisations evolved. It was not a straight line toward greater activism. While the 1979 Iranian revolution showed Indonesians how women could play a more active role, the adoption of salafi precepts by (male) leaders of Darul Islam and later, Jemaah Islamiyah focused on absolute obedience to male authority and a stricter dress code, with more women wearing headscarves and in some cases, face veils. JI leaders, following the teachings they had learned in Afghanistan, forbade women from engaging directly in jihad except in personal self-defence. JI women did not swear loyalty oaths or take part in military training. While there was sporadic defiance of this ban at the height of the Christian-Muslim fighting in Ambon and Poso (1999-2001), it was generally upheld until the first three women armed combatants appeared in Poso in 2015, all wives of senior leaders of besieged jihadi forces there. All have since been arrested. Women have also emerged as important online chat administrators, fund-raisers and recruiters, with overseas migrant worker women sharing information about how to join ISIS, assisting with logistical support and sometimes marrying ISIS fighters online. It was a matter of time before would-be women suicide bombers appeared. Bahrun Naim, by Telegram, was trying to walk one of them through the operation by phone from Syria.